Has Alcopop Bought the Ukip Website? 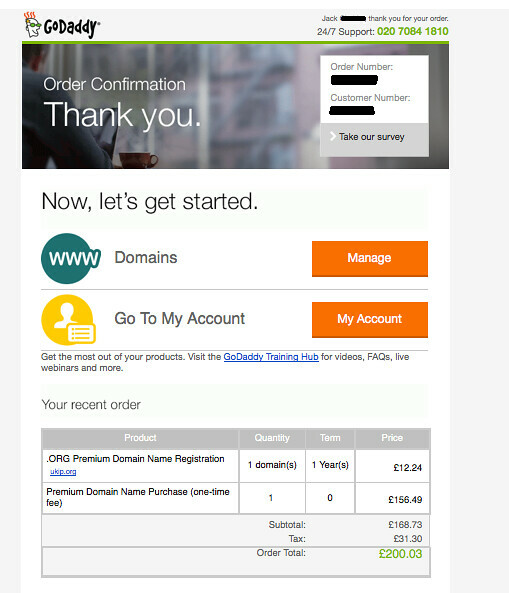 Update: GoDaddy have pulled the plug. One of our favourite independent labels Alcopop Records has apparently managed to buy the Ukip.org domain name - as documented in the screenshots below. In a statement for the independent oxford-based Jack Pop claimed the label "bought the domain at around 10.30am for £200 (which seemed steep, but y’know)". Whether or not the order will go through, the irony of being able to buy a Johnny Foreigner CD on www.ukip.org is surely too good to miss. It also doesn't look great for Nigel at a time where allegations of his alcoholism are rife. A victory for Alcopop and a disaster for UKIP.